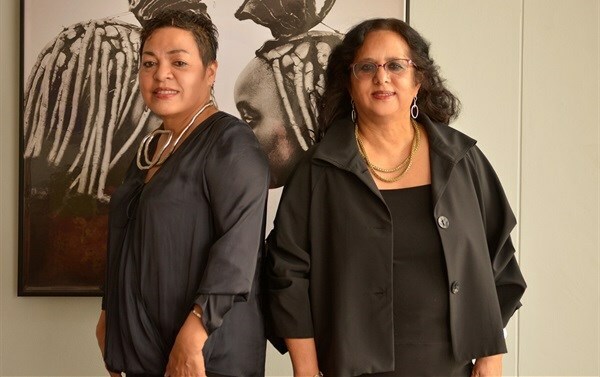 Entrepreneur Silvana Dantu is marketing director of African Equations PTY Ltd, together with her business partner Shareen Parker, the producers of Zari Sparkling Grape juice, a local brand which has set out to disrupt the male-dominated agro-processing sector with its sparkling, alcohol-free beverage brand. 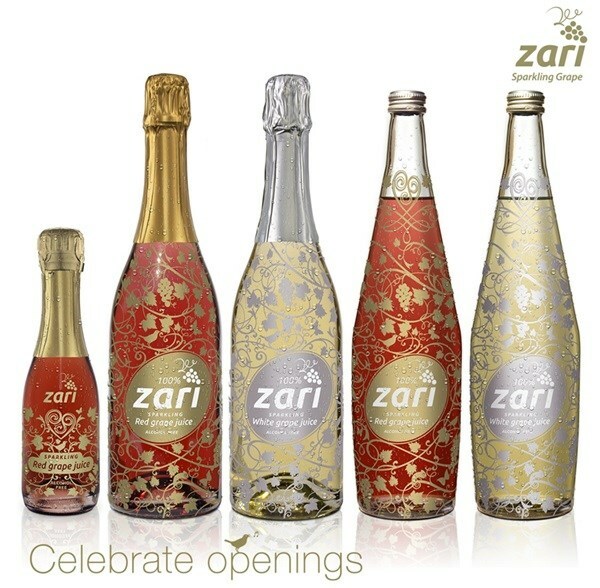 Silvana Dantu and Shareen Parker, female founders of local brand Zari Sparkling Grape. In #WomensMonth we spoke to Dantu about their approach to product development, packaging, branding and positioning of this proudly all women-owned South African company. What are the challenges of being a wholly woman-owned, BEE-owned company in the agro-processing sector? The biggest learning curves have probably been in the areas of coordinating the product life-cycle – from quality control and distribution of the cold-pressed Cape Muscat seedless grape juice from the Western Cape’s Robertson Valley, to bottling, sleeving, closures and outer packaging, to negotiating local and global distribution networks in the retail, hospitality, eventing and corporate sectors. Competing for mind-share against established brands and channels has also been something we have focused on. Shaken not stirred - is the retail beverage sector set for upheaval? You manage the sales and marketing side of the business; what are some of the key areas of focus for you? We have had to spend a lot of time getting to know and understand markets and trends. We set out to meet the needs of the growing number of people who are foregoing alcohol for health and wellness concerns, in pregnancy or for cultural and religious reasons. We wanted to offer them something special, on par with the best South African wines, a drink that would make any celebration, party or event into an occasion. People associate weddings with popping corks, toasts, tasting, food pairing and we wanted to bring these rituals to people without the alcohol. Also, we feel that the fact that our products have no added sugar, no concentrates and are cold-pressed, meets the needs of new discerning markets such as Mipsters and new markets from African, Asian and Middle Eastern business and tourism sectors. This is why we have adopted the brand positioning of 'Celebrate Openings'! Our grape juice is suitable for any occasion especially when you need to offer non-alcohol drinking patrons or clients a luxury beverage other than the usual soft drinks. How do you think being a women-owned business differentiates you from other commercial brands? From the outset we named our brand Zari after the gold and silver threads that run through Middle Eastern silk fabrics, so the brand definitely has a feminine feel. Women make most of purchase decisions in the FMCG category as well. For this reason, we have taken great care in the presentation of our decorative packaging to tell our brand story of quality, luxury and festivity – both on the shelf and for use in glamorous non-alcohol bubbly bars and eventing décor, especially for weddings, baby showers, matric farewells and corporate events. We focus a lot on providing ideas for caterers, baristas and foodies with mocktail recipes and food pairing, mostly via consumer magazines, our website and media that appeal to women. But we did recently have a gentleman phone in with an enquiry for Zari for his wedding as well. We are aware of the potential for a more manly option to compete with the traditional options in the category and have something exciting under wraps in this regard. What advice would you give someone wanting to launch an indie brand? We believe strongly in the power of African and South African brands to disrupt categories. We admire the many young South Africans and millenials who are using new social media channels and e-commerce platforms to create new economic opportunities for themselves and to create jobs. Keeping an eye on local and global trends, attention to customer experience, a culture of excellence, putting the right systems in place and having a supportive business partner with complementary skills can also make all the difference to success. Also talk to everyone, word-of-mouth, getting people talking about your brand, collaborating and networking are key.